First let’s discuss purchasing and storage of vegetables, then we’ll get into cooking them. Now, needless to say, raw or cooked, vegetables taste best when picked fresh and served promptly. I can safely say that corn served and eaten within minutes of harvesting is by far the best tasting! More and more people have taken to the home garden or shop at farmers’ markets for that reason (me too). However, even if you shop in a supermarket, vegetables are generally shipped and handled to ensure that they retain as much flavor and nutrients as possible. In shopping for vegetables, pick those that are bright in color and crisp or firm in texture. The healthy looking carrot, with its deep orange color, will contain several times more vitamin A than the limp, pale one. The deeper the color of the vegetable, the higher its vitamin A content will be. When it comes to root and stem vegetables, select the smaller ones; the bigger, older ones are likely to be tough or woody and won’t soften during cooking. 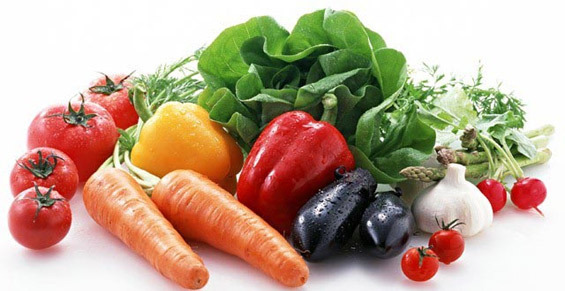 Reject bruised and blemished vegetables, and any that have cracks or tears, or have been chewed by insects; such damage makes it easy for bacteria to enter the tissue. After purchase, perishable vegetables like leafy greens should not be washed until you are ready to use them; this will minimize vitamin and mineral loss and curtail the growth of bacteria. If the vegetables are dirty and need to be rinsed, shake them well, wrap them in paper towels to absorb any excess moisture, and then place them in plastic bags or in other closeable containers before putting them in the refrigerator. By the way, have you tried Debbie Meyer Green Bags ? I was amazed at how much longer my produce stays fresher! Generally speaking, vegetables that easily wilt or dry out should be kept in a dark, cool and slightly humid atmosphere. This restricts the proliferation of bacteria and mold, prevents dehydration and suppresses enzymes in the vegetables that, once activated, lead to loss of flavor and texture and leads to decay. Spinach, broccoli, and celery are three of the many vulnerable vegetables that will maintain their quality longer when refrigerated at around 35 to 40 degrees and at high humidity. The vegetable crisper or drawer in your refrigerator is a perfect environment for them. Among the hardier vegetables that should not be refrigerated due to the fact that their starch converts to sugar are: potatoes, sweet potatoes, onions and winter squash. All require cool, dark, well-ventilated conditions. That was the well-founded premise of the root cellar! It prevented potatoes and other veggies from sprouting, withering, or rotting. A cupboard on an outside wall, away from the range or refrigerator, or a cool, airy basement provides today’s substitute.